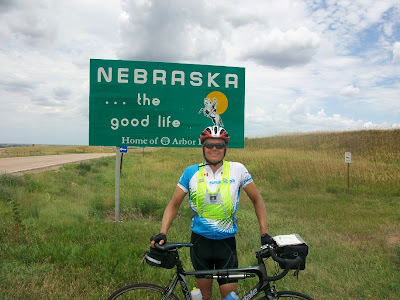 Friday - We completed another century today. It was certainly a long ride, but the wind died down for us, so it wasn't too bad. 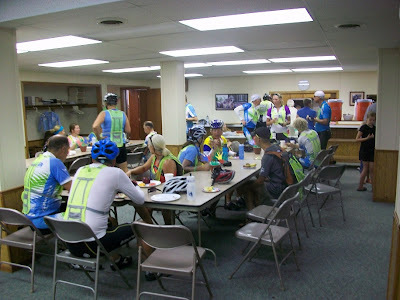 Along the way, we were invited to Prairie Dog Presbyterian Church for baked goods, juice, and coffee. They even had a sign for us welcoming us to the town of Prairie Dog. We were also given a free ice cream cone at the Jiffy Burger in Smith Center, provided by a relative of one of the cyclists. Not long after I got into camp, we were hit by a sudden thunderstorm. A few tents were blown over or filled with water and many of the cyclists who hadn't come into camp yet got drenched. I had just finished putting the fly on my tent when the storm hit, so all my stuff stayed dry, thankfully. The nearby community center was graciously opened up to us for anyone who's camping gear was too wet to sleep in. There was also a "Christian book store" just a block away where a bunch of us went for a "Bible study". Yes, we left satisfied, but American "bibles" just aren't as good as Canadian "bibles". They use a weaker "translation". 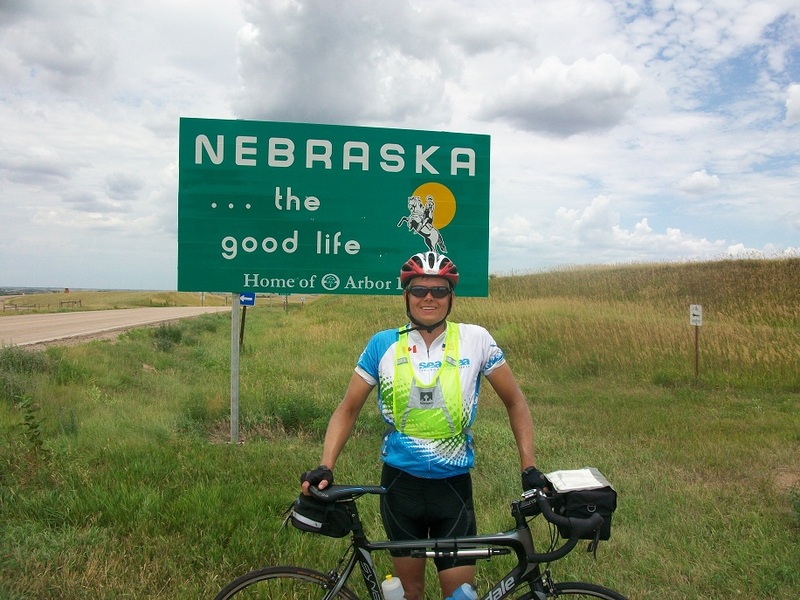 I've signed up for the 2013 Sea to Sea Bike Tour, a two month, cross-continent bike tour from LA to New York to raise money to fight poverty.